Originally an 11th century motte and bailey Castle . The property of the monarchy in the late 15th century. By 1630 Queen Elizabeth sold the castle , then considered decayed . Acquired by the Philippses of Picton Castle in 1670 . In 1880, the castle was partially restored by J.R.Cobb, a tenant who carried out repairs on the buildings and walls. 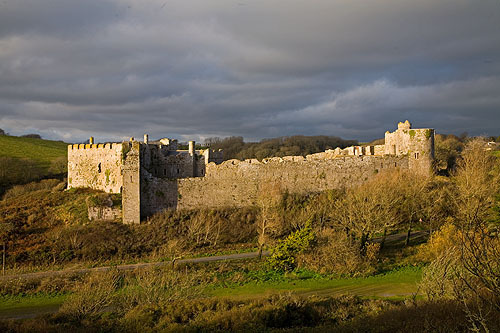 Manorbier Castle is now privately owned by Lady Dunsany (a Philipps descendant) and is open to the public.